I have read the Harry Potter series and do think that the “Philosopher’s Stone” is a superb example of children’s literature with another three of the series (“Prisoner of Azbakan”, “Goblet of Fire” and “Order Of The Phoenix”) being almost as good. I was teaching in 1997 when the first book came out and in all my years had never before experienced how this tale of the young wizard Harry Potter spread. There didn’t seem to be a huge publicity push in the beginning , it was all word of mouth. Children were coming to school clutching a copy saying “this is the best book I’ve ever read” and eager to get others to read it. In my years of teaching I never experienced anything like that and that was within a few months of publication, before it started to win awards or before any films were up for consideration. With social media nowadays, things are able to spread like wildfire, but back in those primitive days of the mid 90’s such a thing was unusual- especially in children’s fiction. 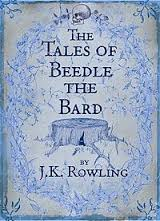 Which brings me on to… “Beedle The Bard”, this is a slim volume written for charity and it has taken me quite a few years to get round to it. 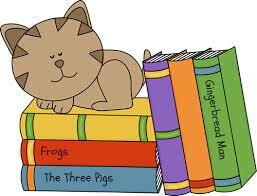 I like the idea of a collection of five fairy tales originally penned by “the bard” in the fifteenth century. These are stories that would be well known by the characters in “Harry Potter”. They have elements of Potter-like magic and (here is the original touch I very much like) come with a commentary by Albus Dumbledore, Headmaster of Hogwarts, who gives a wizards-eye view and explains things for us Muggles. It’s nicely executed. I had always thought it would be a bit of a throwaway book but it shows Rowling’s intelligence as a writer, her good sense of literary traditions and a real flair for story-telling. I was left wanting more. Not quite up there with the best of the Harry Potters but very enjoyable nonetheless.